AbadarCorp is hands down the largest, wealthiest, and most influential corporation in the Pact Worlds— in no small part because it’s also the church of Abadar, god of civilization, commerce, and wealth. In addition to the manufacture, transport, and sale of a wide variety of goods both magical and technological, AbadarCorp also provides a multitude of other services, including banking, financial, labor, legal, shipping, and utility services. 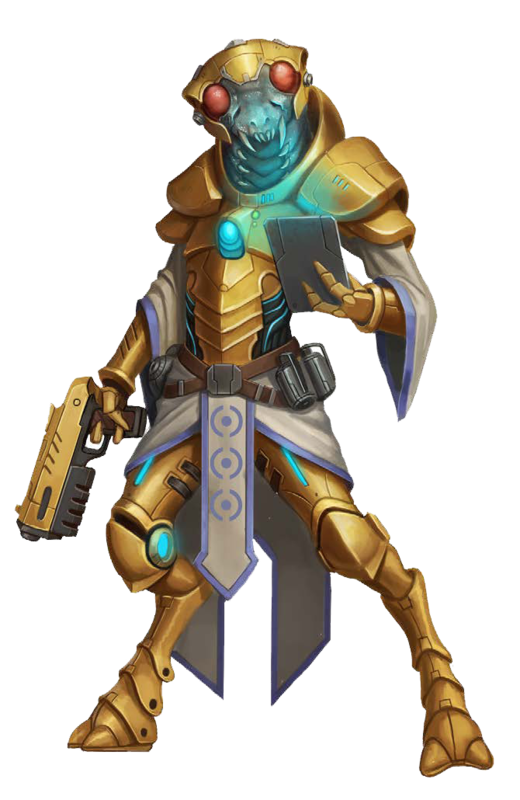 There are AbadarCorp corporate offices, factories, stores, and trading outposts (all of which also function as temples of Abadar) on every one of the Pact Worlds and on nearly every civilized planet maintaining trade relations with the system. Virtually every conceivable product available for purchase in the Pact Worlds or friendly systems is sold (and often produced) by AbadarCorp or one of its subsidiary corporations. This is not to say that AbadarCorp’s products are always the best or that it doesn’t have stiff competition; one might argue whether an Arabani Arms laser rifle has a more coherent beam than an AbadarCorp weapon, but everyone knows there’s a good chance the local AbadarCorp hypermarket probably has both of them in stock. AbadarCorp’s goals are those of the church of Abadar: spreading civilization and law, fostering free trade, and accumulating profit. While not a law-enforcement agency itself, it does provide equipment, funding, and training to both the Stewards and smaller planetary police forces. The corporation is also an eager sponsor of planetary colonization efforts, providing everything from financial backing to colony ships, construction equipment, supplies, and even prefabricated buildings (including, of course, a fully stocked AbadarCorp general store, ripe with franchise opportunities). 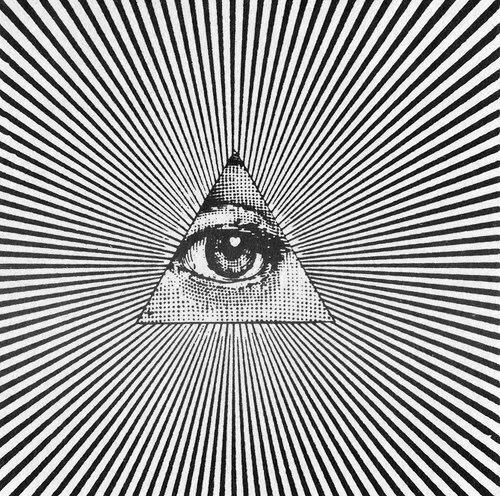 AbadarCorp was also instrumental in helping the Pact Worlds government establish the credit standard, and its role in helping regulate the currency and facilitate interplanetary fund transfers makes it a de facto branch of the government treasury—something not all citizens are comfortable with. AbadarCorp follows a traditional corporate organizational structure but maintains a religious function as well. All of AbadarCorp’s executives and corporate officers are priests of Abadar. Its chief executive officer also serves as the church’s high priest, called the executive archdirector. 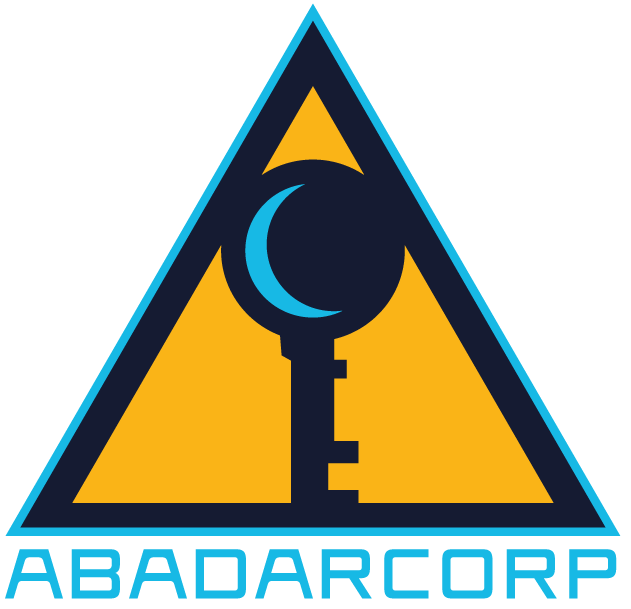 AbadarCorp’s operations on any given planet (or major locality, such as Absalom Station) are each managed by an archdirector, each of whom has a seat on the corporation’s board of directors. Lower-ranking directors supervise larger corporate assets, while managers and administrators are responsible for smaller holdings and offices. In addition to its manager-priests, AbadarCorp employs countless secular workers in a variety of fields, including exploration to find new markets and resources, piloting, research, security, transport, and much more. And while it has plenty of loyal full-time employees, the organization has no problem hiring contract adventurers for jobs requiring specialized skill sets or expendability.